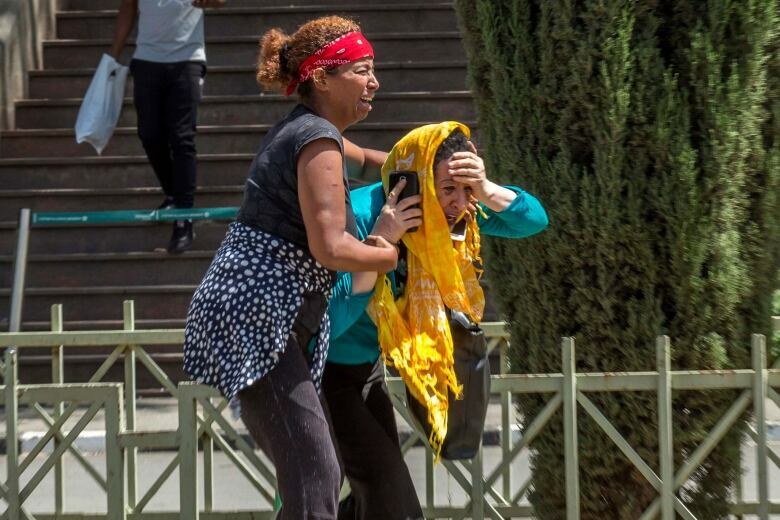 Pilot and former Inspector General of the U.S. Department of Transportation Mary Chiavo offers insight into Sunday's Ethiopian Airlines crash. Update, March 13, 2019: Transport Minister Marc Garneau issued a safety notice Wednesday morning, banning the Boeing 737 Max 8 aircraft from entering Canadian airspace until further notice. U.S. President Donald Trump issued an "emergency order" grounding all Boeing 737 Max 8 and Max 9 aircraft a few hours after Canada's decision. 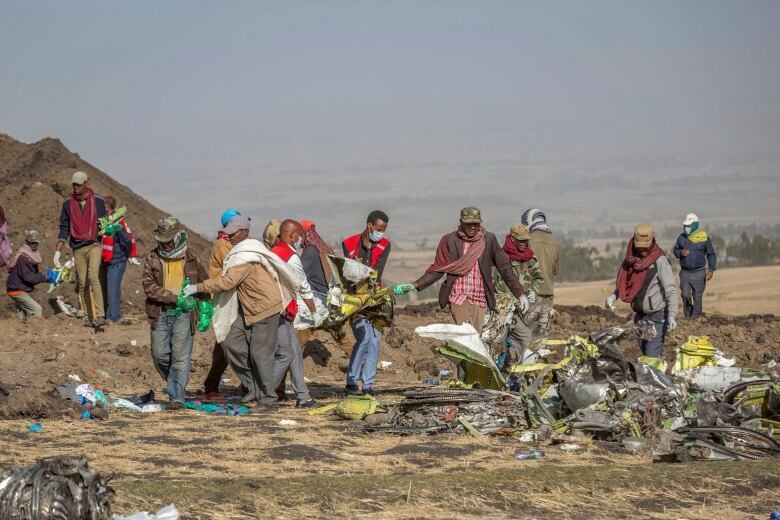 An aviation security expert says it's time to ground the Boeing 737 Max 8 until we know more about what caused Sunday's Ethiopian Airlines crash that killed all 157 people on board. The aircraft model was the same as the Indonesian airline Lion Air flight that crashed in October of 2018, killing 189 people. Some countries, including Indonesia and China, have responded by grounding this aircraft until further notice. Canadian air carriers own 41 of the planes — but Canadian Transport Minister Marc Garneau has said that grounding them would be a "premature" measure. 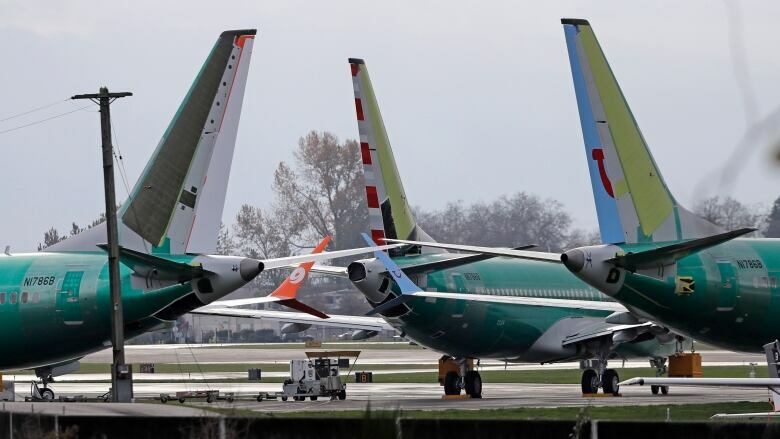 Boeing has said it will deploy a software upgrade for the 737 Max fleet that will be implemented in the next few weeks, which is "designed to make an already safe aircraft even safer." As It Happens host Carol Off spoke with pilot and former inspector general of the U.S. Department of Transportation Mary Schiavo about whether grounding is indeed an extreme measure, and what Boeing's next steps should be in the wake of this disaster. China and Indonesia have taken the rather major step of grounding this aircraft — the Boeing 737 Max 8. Do you agree with that step? It just makes sense to have a stand-down, time to see what the black boxes reveal about the cause of this most recent crash. What can you tell us about what was similar about these two crashes? There's so many things similar, which is why I think the countries that have grounded the planes have done so. The plane is about the same age. Both planes were on take-off. Both were very close in air speed when this happened. Both pilots had called out that they had a mechanical problem. But there are some differences as well. On the Lion Aircraft, the plane had a series of porpoising, meaning the plane pushed the nose down, the pilot pulled the nose up, back and forth, and finally what happened is the aircraft went full nose down and the airplane literally flew itself into the ground. In this plane, at least what it looks like from the radar tracings, it looks like the plane had one dip in its altitude, and then it was a dramatic uptick, a very sharp increase in altitude, and it looks like it pulled up very sharply. Then it looks like it had what we call an aerodynamic stall, where the airplane was going up too steep of an angle, and then had a stall and fell into the ground. What did Boeing do in response to the Lion Air crash in October? Did they change anything? They didn't change the design of the plane. They didn't change what we call the flight laws — in other words, the computer laws that are programmed into the computer. They left the plane as it is. In other words, this MCAS system is what it's called, that pushes the nose down if the aircraft senses that it needs to do that to keep the airspeed up. So they didn't change that. What they did change is they changed the manual and put out a directive, a warning that every pilot that flies these should have additional training in how to spot when this might be occurring. But there are some commands in this plane that can override the pilot's directives — so what's that all about? That's one of the biggest questions that we have, and I think aviation is at a crossroads. Because to have a plane out there that says the pilot is secondary, this is really crossing over into the area of drones. We expect our pilots to be able to make intelligent human decisions and say, "I'm going to fly this plane out of this mess." And, indeed, our accident investigations blame the pilots even when the computer messes up. For example, Lion Air said the pilot should have known and been able to remedy this. But now in this plane, the plane will put the nose down, and even if the pilot pulls the nose back up, the answer is to turn off that system. So yes, it will override the pilot, but Boeing says the pilot can override the system. This whole thing is just so horrible to conceive of, but can you imagine what was going on in the cockpit when they were fighting this computerized response? Every imaginable warning alarm in the cockpit was going off. ... It would be a very scary, noisy place. And what would they have been trying to do at that point? They would have been trying to ... keep their airspeed up, and the plane kept putting the nose down. When that nose went down that close to take-off, they would have been trying to keep that nose up, doing everything they could to stay in the air. At what point would they know that it was a lost cause? When it finally pitched up at the very end and stalled and was falling over. At that point, they would have realized that they are not going to recover because they didn't have any altitude. If they'd been higher in the sky, they might have had a chance. Written by Alison Broverman with files from Reuters. Interview produced by Chris Harbord. Q&A has been edited for length and clarity.